The National Highway Traffic Safety Administration (NHTSA) in the US defines autonomous driving in four levels from 0 to 4 based on the portion of driving done by the driver and the motorcar where Level 4, the highest one in its definition, requires the system to drive autonomously under any road and traffic condition. Fully autonomous driving requires lots of sensors to provide drivers with vision, IoT for comprehensive traffic information beyond sight, maps for navigation to the destination, and last but not the least important are high-speed AI chips acting as the brain to think for the driver. Every piece of information, either internal or external, shall be filtered by it to make valid decisions. 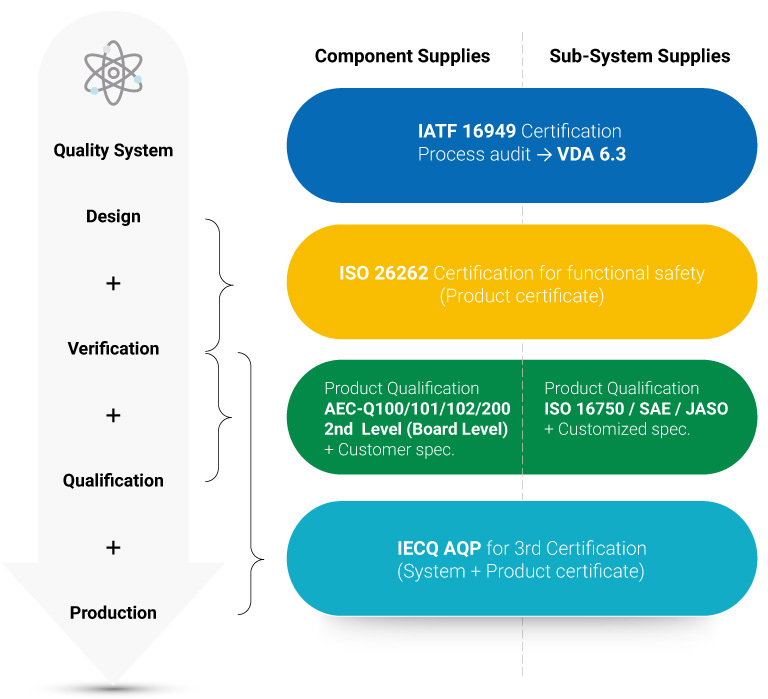 In addition to AEC-Q100/AEC-Q101/AEC-Q102/AEC-Q104/AEC-Q200 reliability verification and failure analysis service in the field of IC devices, iST offers ISO 9001/IATF 16949/IECQ AQP QC system implementation coaching and consultancy service for enterprises working on breaking into the automotive electronic supply chain and getting certified under automotive environment protection specifications. iST has a joint venture called DEKRA-iST established with DEKRA, the world’s well-known automotive safety verification and testing firm, to provide one-stop service from total certification to verification to analysis of motorcars, modules, and devices with the integrated automotive electronic verification chain. 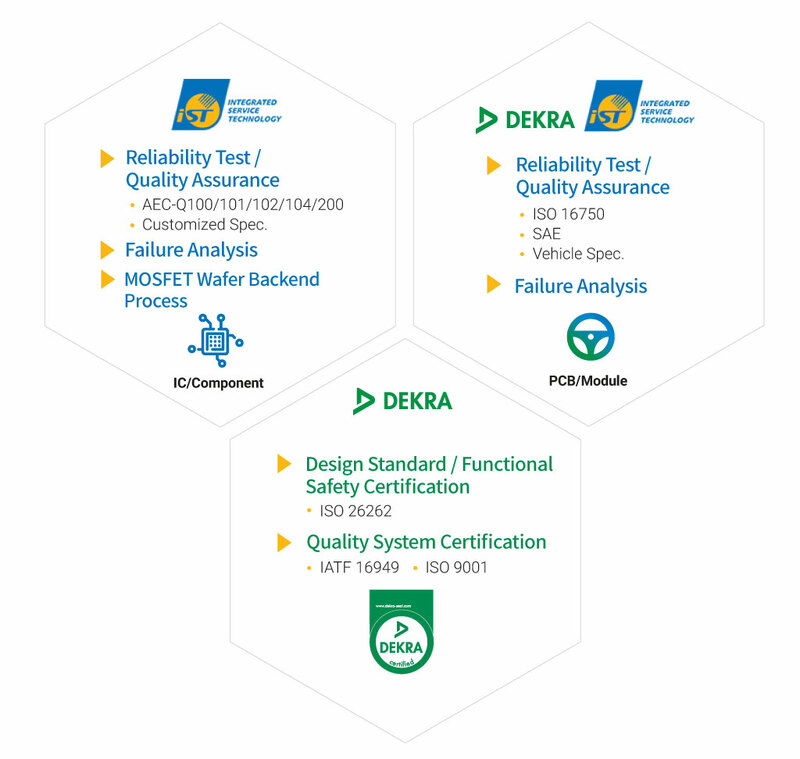 iST has a joint venture with DEKRA, the world’s largest automotive safety verification and testing firm, called DEKRA-iST to provide one-stop service from total certification to verification to analysis of motorcars, modules, and devices with the world’s most complete automotive electronic verification chain. MOSFET becomes the inevitable power component of automotive electronics and electric vehicle to cope with the diversified applications of automotive electronic products and the higher request for low power consumption/low on- resistance. 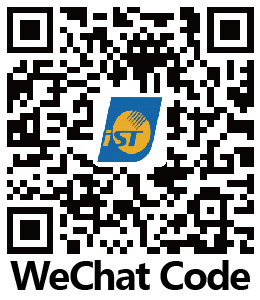 As an experienced automotive certification expert, now, iST starts to provide the MOSFET /IGBT Wafer Backend Process, which is a BGBM wafer thinning services available for customers between the foundry FAB and assembly operations, so the low power consumption/low on-resistance for MOSFET / IGBT can be realized. 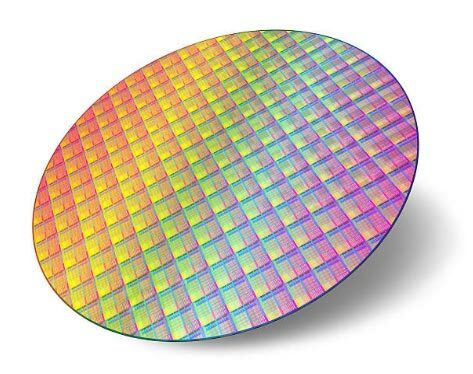 As an experienced automotive certification expert, now, iST starts to provide the MOSFET Wafer Backend Process, which is a BGBM wafer thinning services available for customers between the foundry FAB and assembly operations, so the low power consumption/low on-resistance for MOSFET can be realized. The very first Chinese satellite to automotive navigation IC edge into the Changan Automobile supply chain after verification by iST. Based on familiarity with OEM/DOP/AM automobile market reliability, safety, and environment protection specification requirements of automotive factories, Tier 1 and device manufacturers, iST is converting them into technical knowledge to provide you with professional recommendations and quality service to beachhead into automotive electronics markets.